Our Office is located North of South West 44th street on Douglas Avenue in the Medical Office Building. Click Here for a detailed map or to obtain online directions. To save time in our waiting room, please complete the available forms in advance of your visit. These forms include the Patient Medical History, Patient Demographic, Financial Policy Statement, and Privacy Act Consent Form. 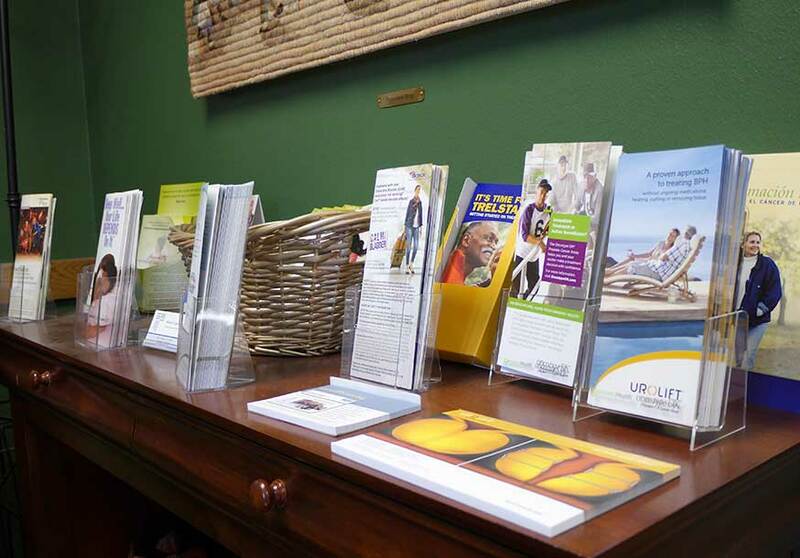 If you bring the requested paperwork the day of your appointment, we ask that you arrive 20 minutes early so that our staff can process your paperwork prior to treatment. You may request copies by mail by calling 405-644-5175. Forms filled out by hand may be returned in advance of your visit by mail, hand delivery or by Fax at 405-644-5176. Use the links below to download the required medical forms in PDF format for printing and manually filling out. You will require a PDF reader such as Adobe Reader to view and print these forms. Click on the blue download button to get PDF. Utilice los enlaces a continuación para descargar los formularios médicos requeridos de SPANISH en formato PDF para imprimirlos y rellenarlos manualmente. Necesitará un lector de PDF como Adobe Reader para ver e imprimir estos formularios. Haga clic en el botón de descarga azul para obtener PDF.